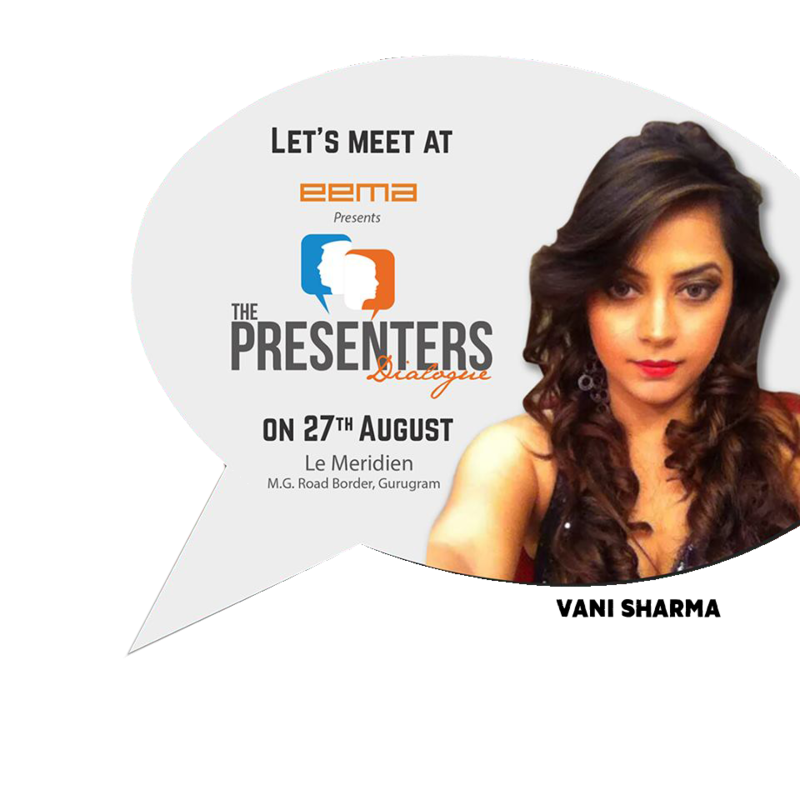 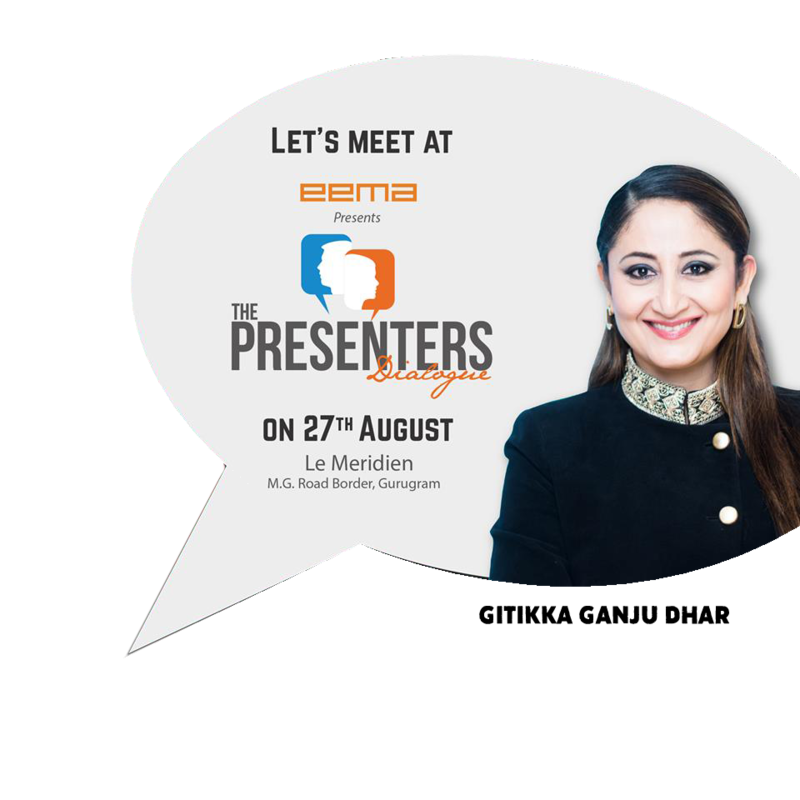 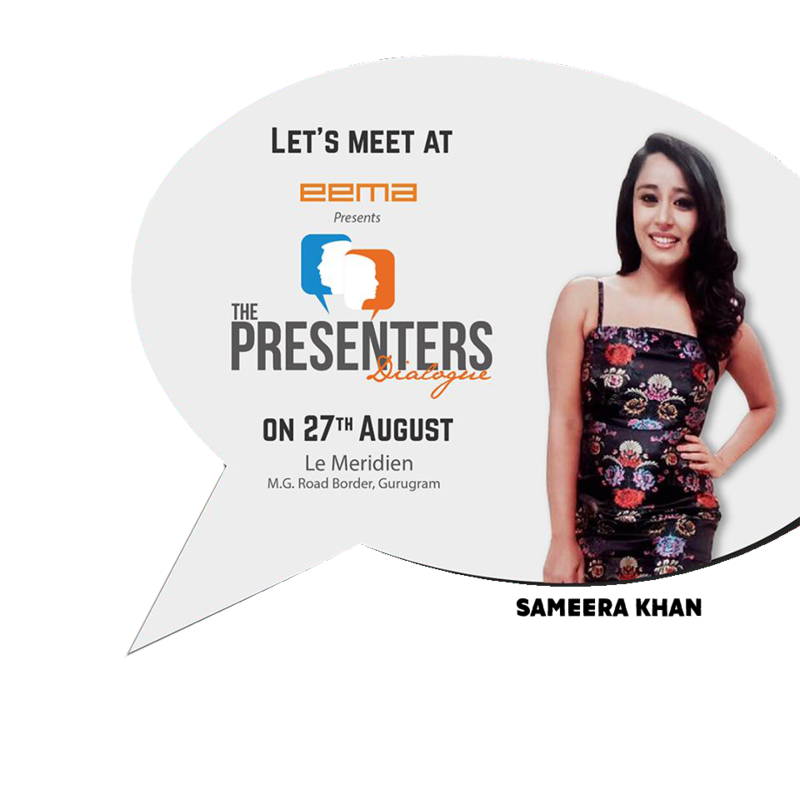 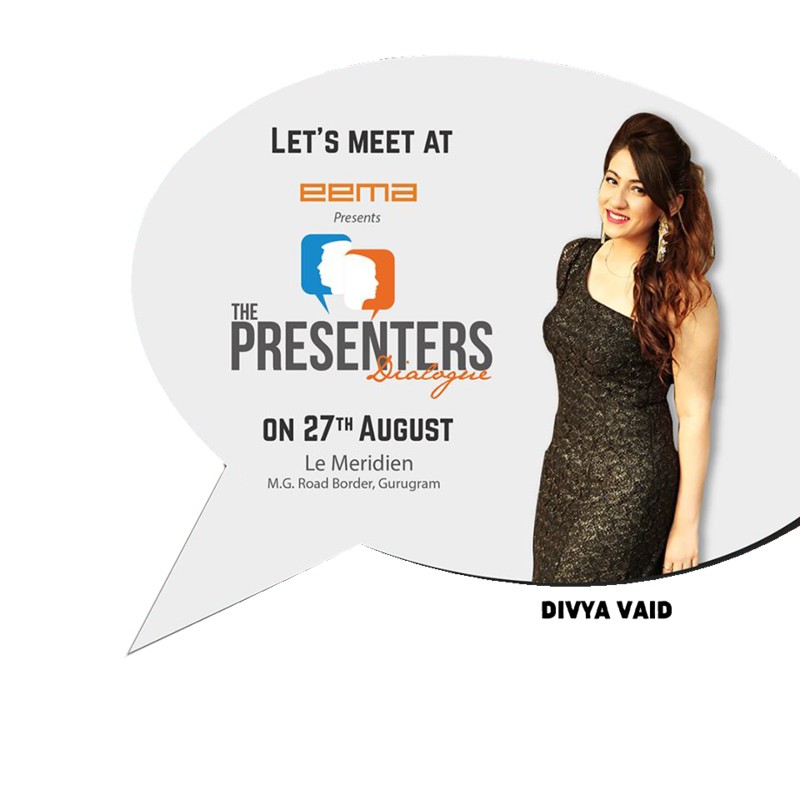 EEMA North is proud to announce its unique initiative with Emcees called “The Presenter Dialogue” on 27th August at JW Marriott at Aerocity, Delhi. 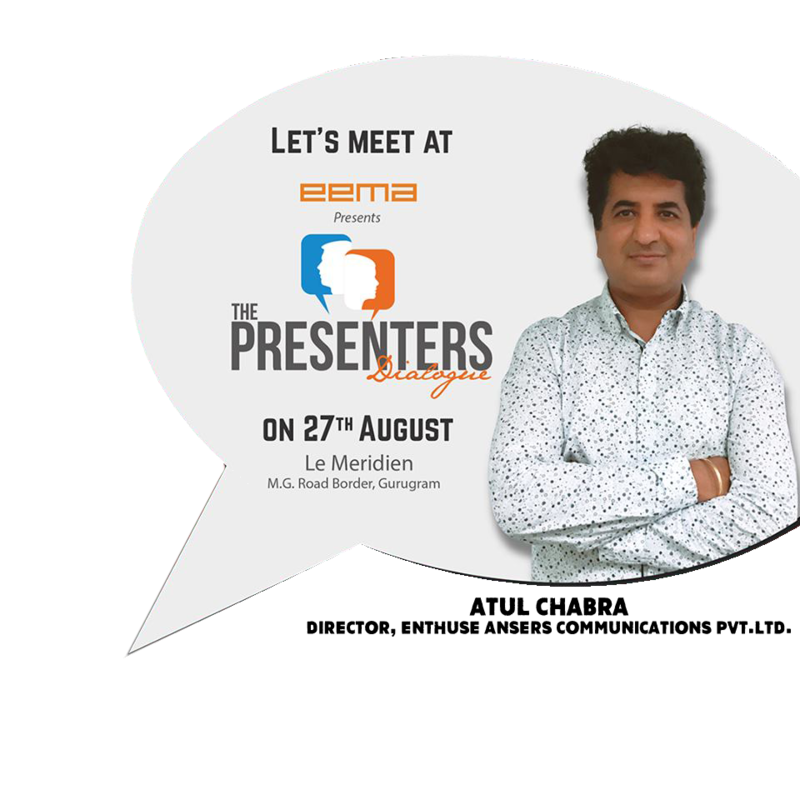 Entire ecosystems of EEMA member agencies & Presenters across all spectrums are meeting for the first time in India. 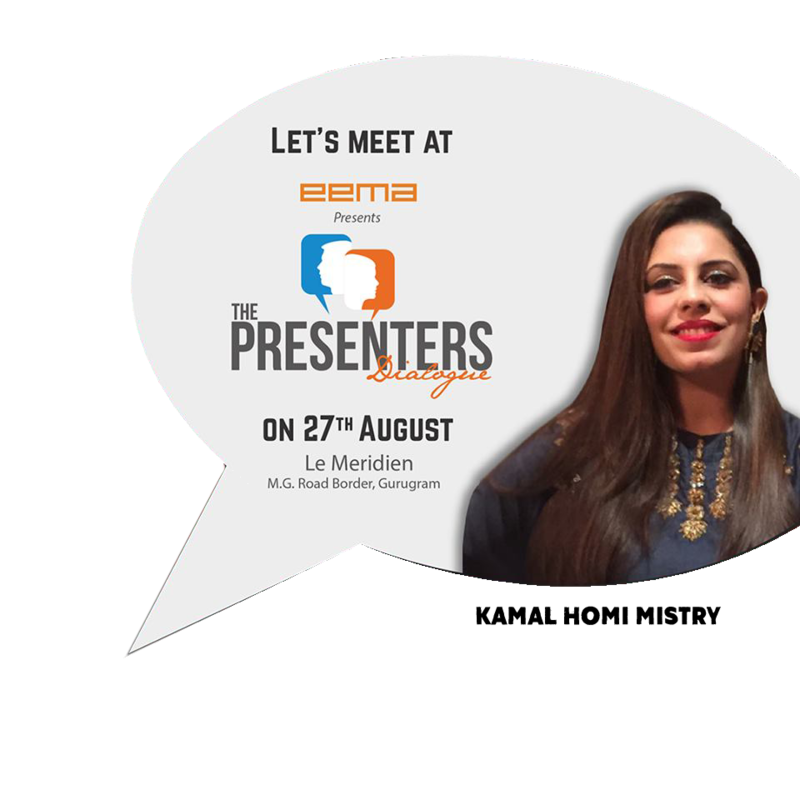 Artists are travelling from Mumbai, Hyderabad, Bangalore and other parts of the country to be a part of this 1st ever initiative. 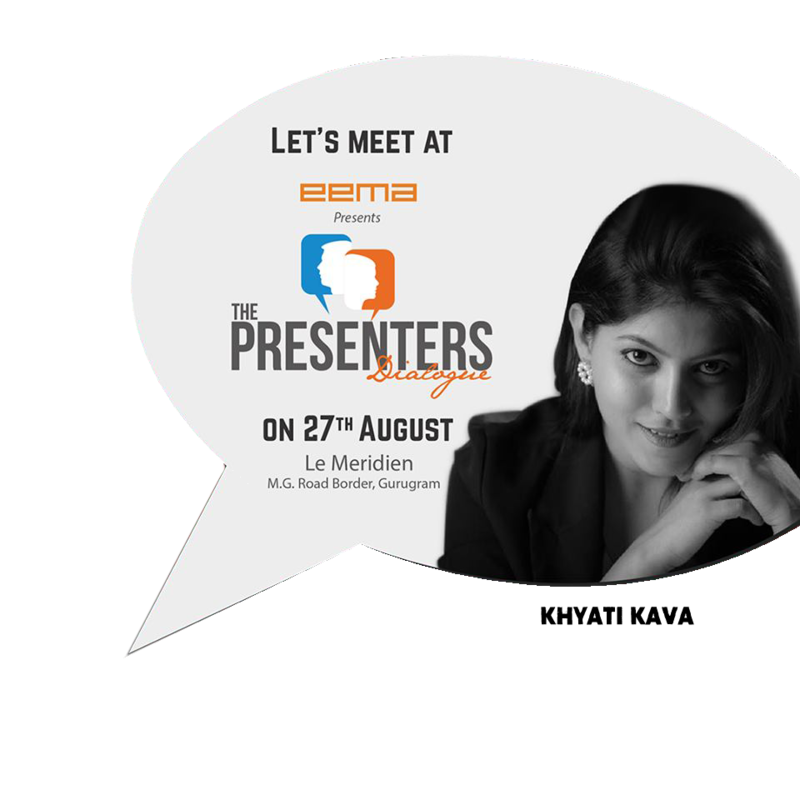 The idea is to explore new horizons, reset expectations and break the cliché. 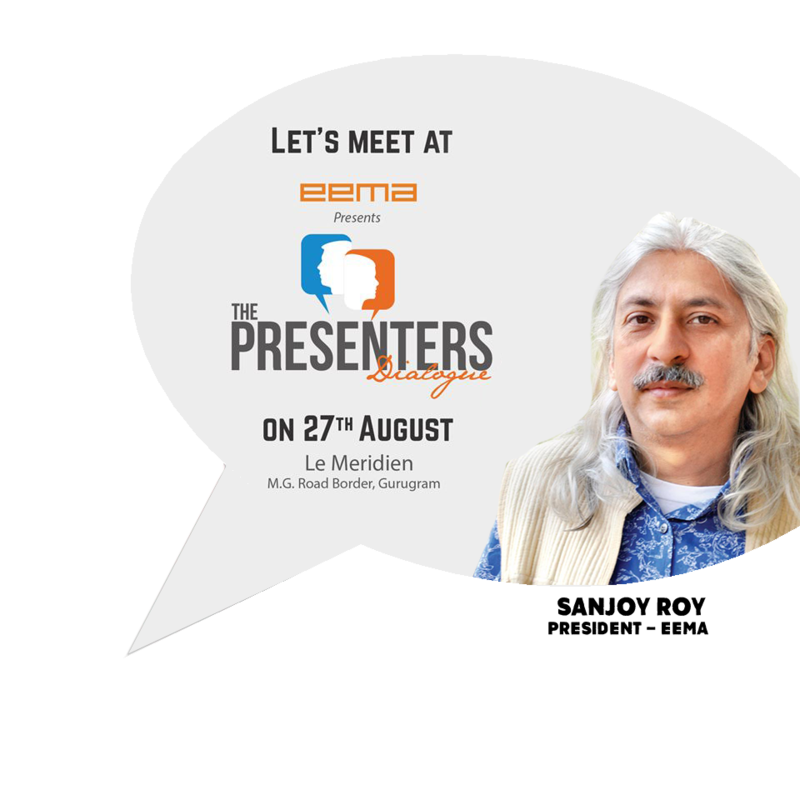 The platform will foster growth for the entire eco-system. 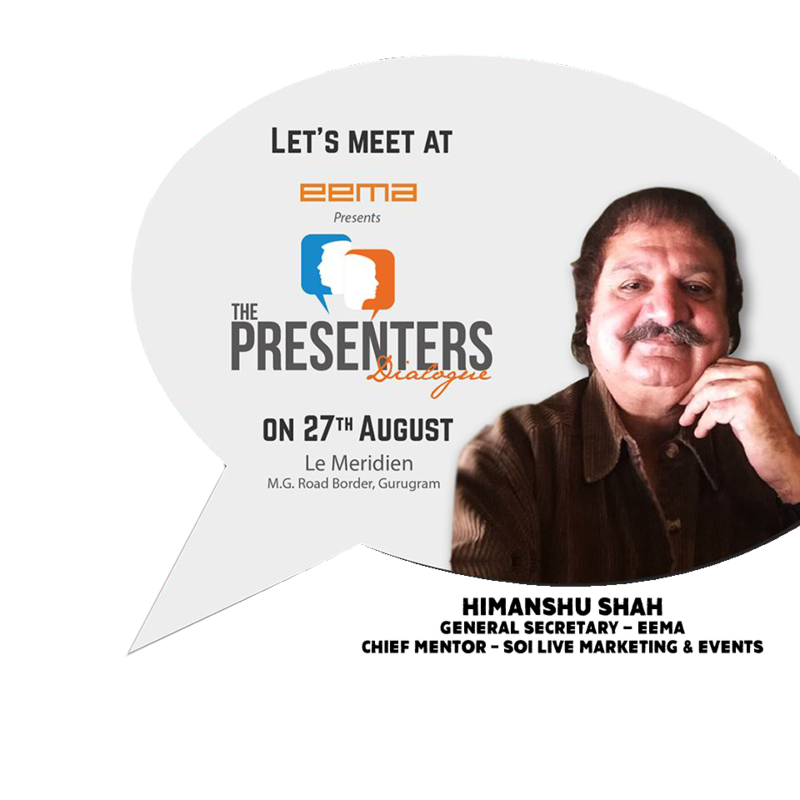 It is a platform for knowledge sharing, understand client’s perspective and learn from the masters. 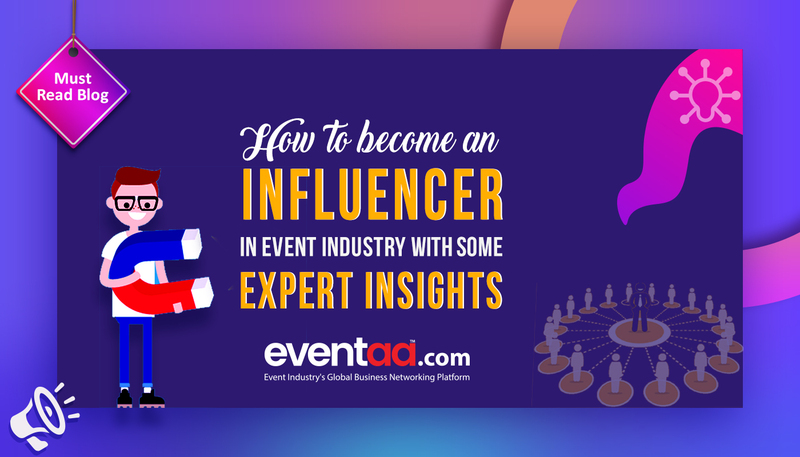 It will help in understanding member’s expectations and a unique opportunity for networking with the industry’s leading emcees & event managers. They say the miracle happens when people come together, so the big idea is to create an ecosystem where we all can leverage each other strengths. 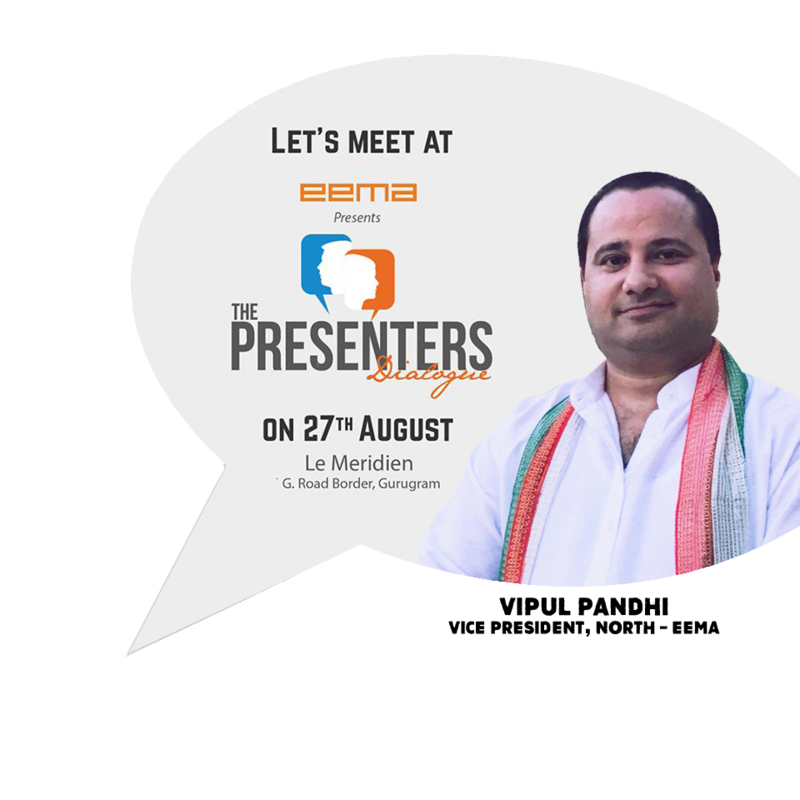 Sachin Talwar (Director Wow Events Pvt. 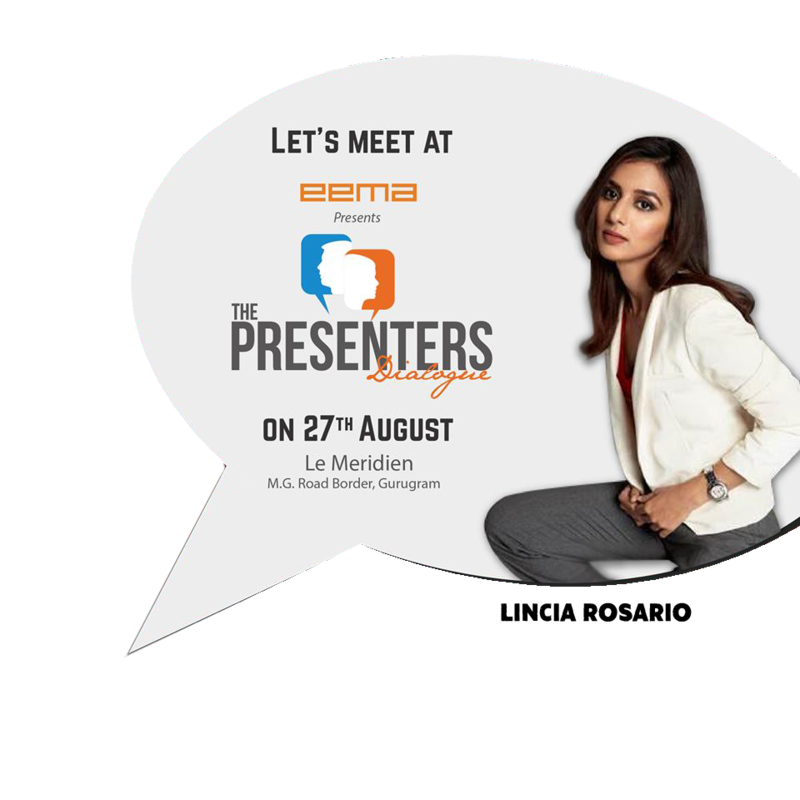 Ltd.) is ensuring that this initiative reaches its desired audience through the digital medium. 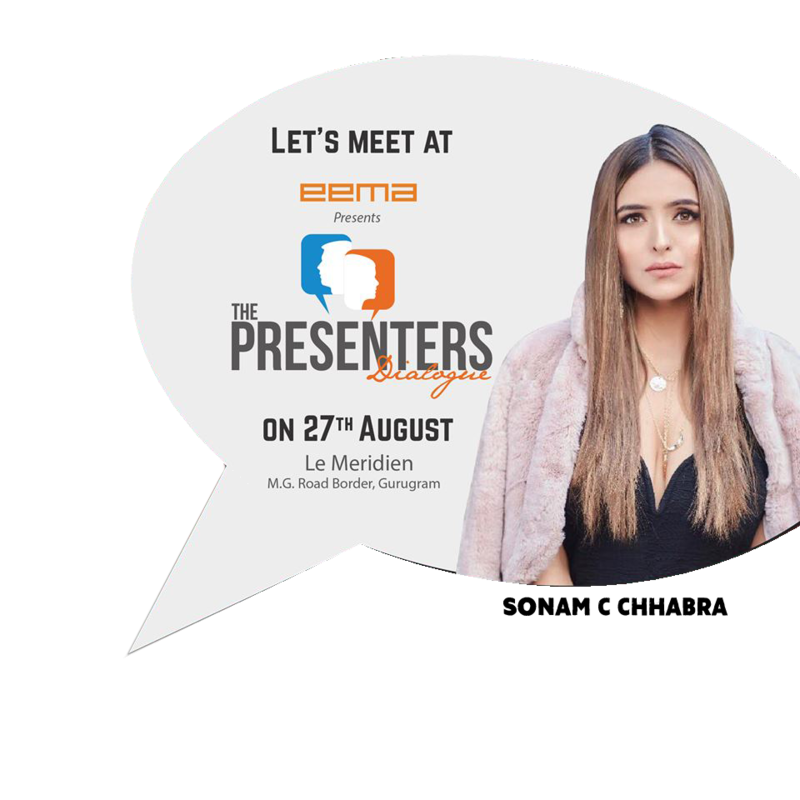 "Presenters dialogue brings together anchors and hosts to discuss share and network with industry experts and better their communication and business development skills and offer their talent to the corporate, cultural and mice world." 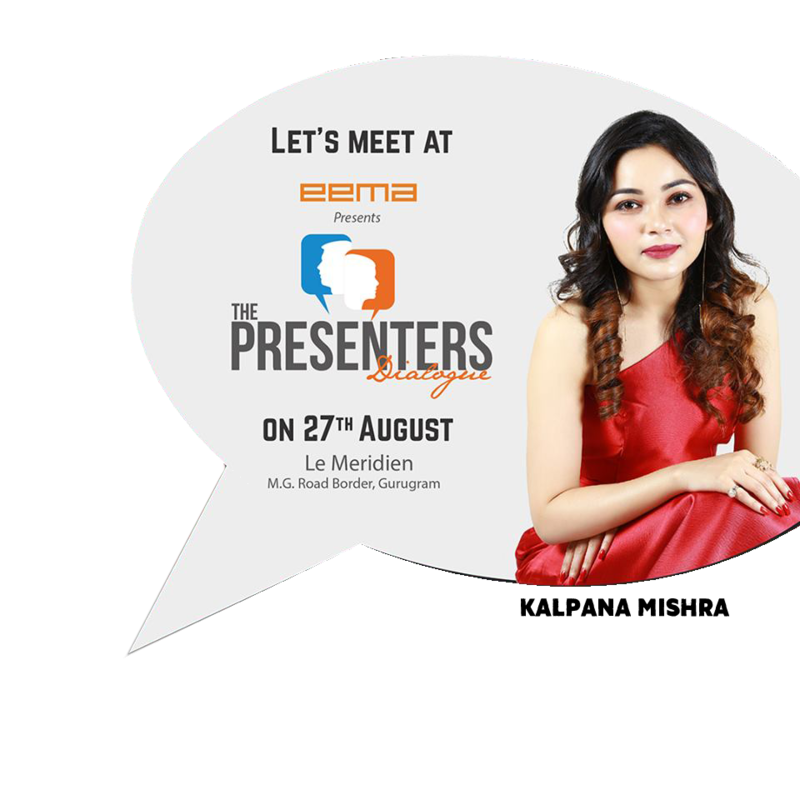 Director, Enthuse Answers Communications Pvt. Ltd.
CEO, Event Network Entertainment Pvt. 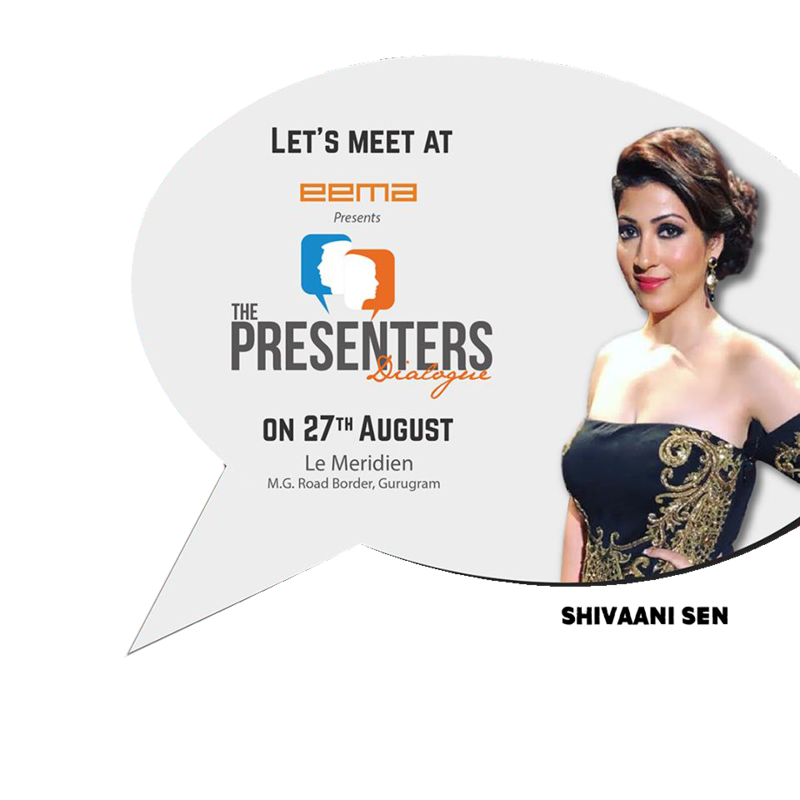 Ltd.
CEO, Showcraft Productions Pvt. 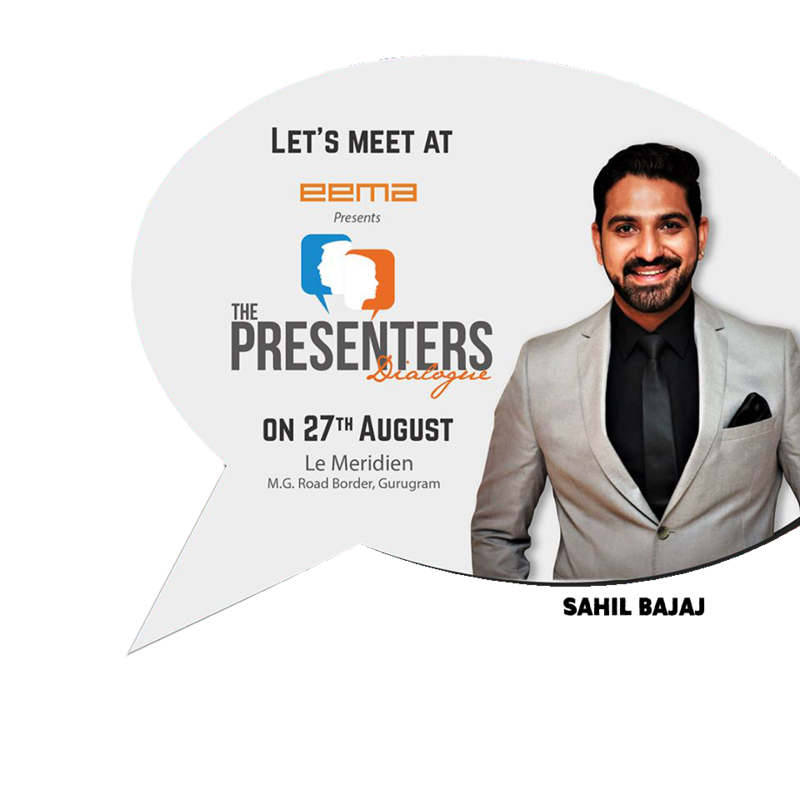 Ltd.
EMCEE leaves a lasting impression making event/experience a success. 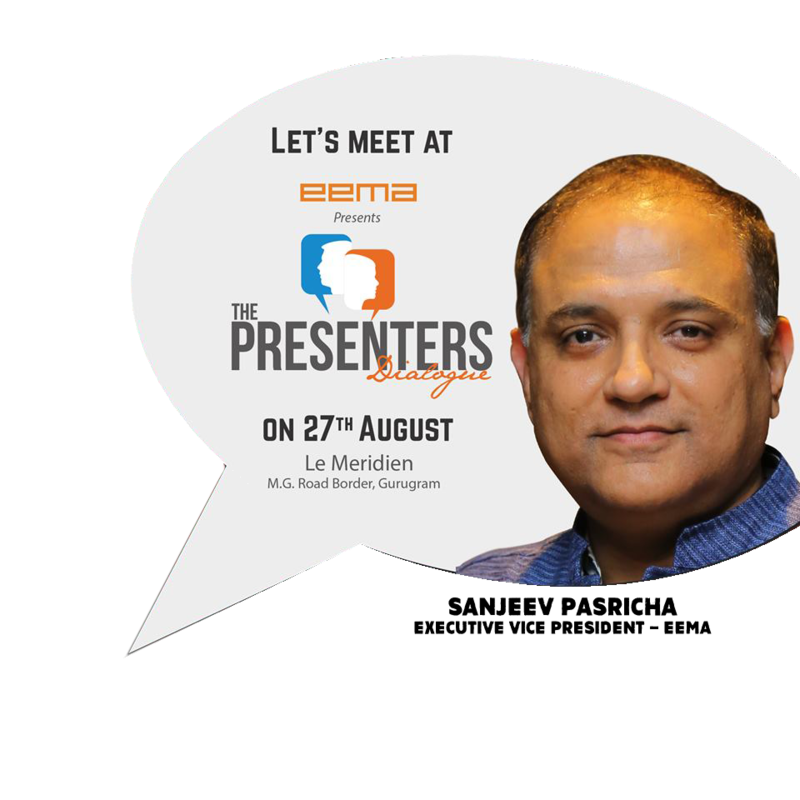 To improve the ecosystem, few key initiatives that can be a growth driver for agencies & emcees across the spectrum will be discussed during this meet. 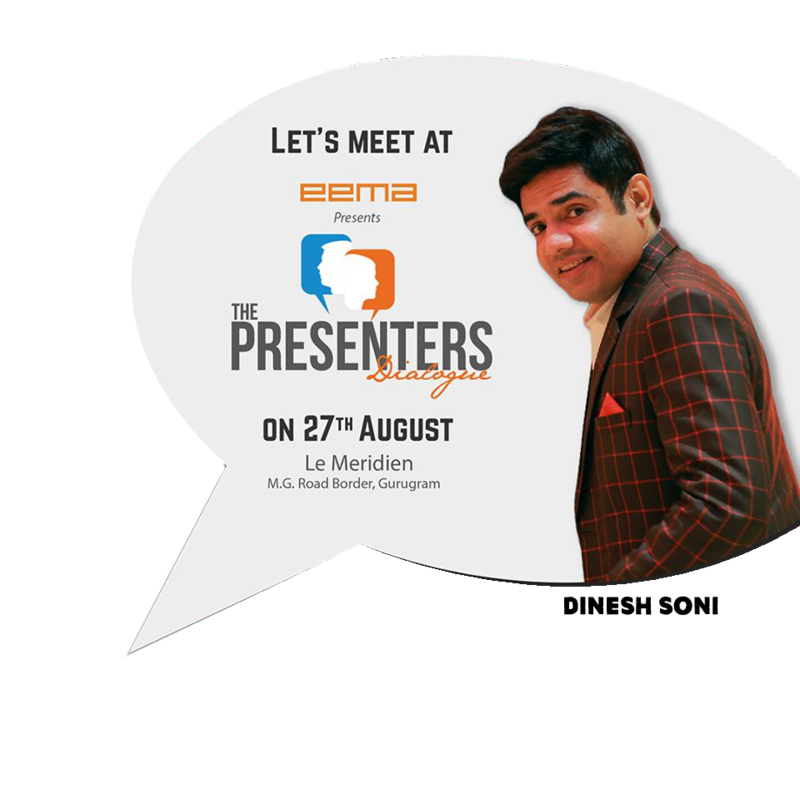 Shivani Wazir Pasrich, Nitin Arora, Shefali Talwar, Joe Bhaath and Gitikka Ganju Dhar will represent the Emcee fraternity. 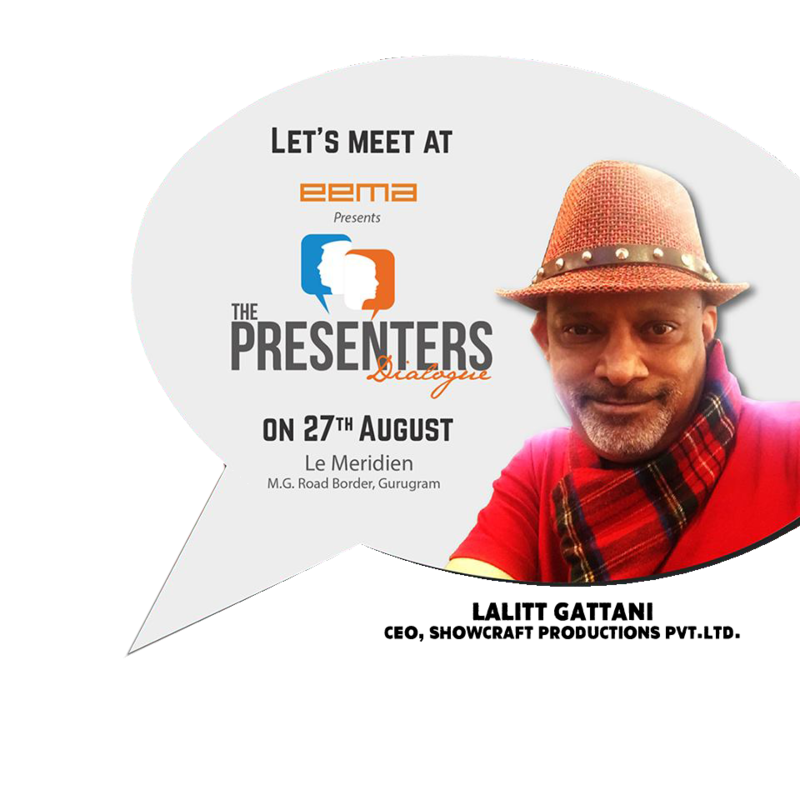 EEMA Thanks all the stakeholders, its members, emcees who have taken time out to be a part of this 1st ever The Presenters Dialogue. 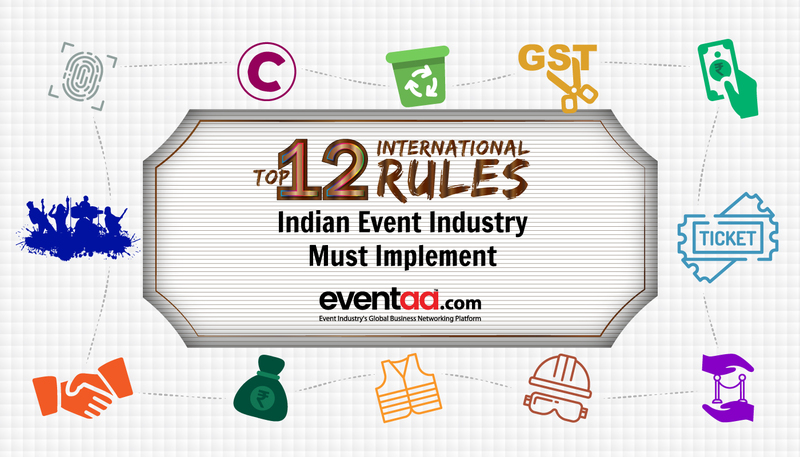 This platform will be traveling to cities across India in the coming months.